Rat Dermal Fibroblasts (RDF) from Cell Applications, Inc. have been used in allogenic prosthetic grafts, demonstrating improved epithelization, collagen organization and faster regeneration. The cells were also used in a cell sheet engineering study, where a sheet of dermal fibroblasts was transplanted into the damaged liver in allogeneic rat model to promote migration of hepatic progenitor cells and faster healing, and as a control in engineered cardiac tissues. (Click to Enlarge) Rat Dermal Fibroblasts: RDF. Isolated from rodent skin tissue. Rathinasabapathy, A., E. Bruce, A. Espejo, A. Horowitz, D. Sudhan, A. Nair, D. Guzzo, J. Francis, M. Raizada, V. Shenoy and M. Katovich. 2016. Therapeutic potential of adipose stem cell-derived conditioned medium against pulmonary hypertension and lung fibrosis. British J Pharmacol, 173:2859-2879. Aalbers, C., L. Bevaart, S. Loiler, K. de Cortie, J. Wright, F. Mingozzi, P. Tak and M. Vervoordeldonk. 2015. Preclinical Potency and Biodistribution Studies of an AAV 5 Vector Expressing Human Interferon-β (ART-I02) for Local Treatment of Patients with Rheumatoid Arthritis. PLoS ONE 10(6): e0130612. Uchinaka, A., Y. Hamada, S. Mori, S. Miyagawa, A. Saito, Y. Sawa, N. Matsuura, H. Yamamoto and N. Kawaguchi. 2015. SVVYGLR motif of the thrombin-cleaved N-terminal osteopontin fragment enhances the synthesis of collagen type III in myocardial fibrosis.Molec & Cell Biochem, 408:191-203. Fei, R., H. Hou, D. Munoz-Pinto, A. Han, M. Hahn, and M. Grunlan. 2014. Thermoresponsive Double Network Micropillared Hydrogels for Controlled Cell Release. Macromolecular Bioscience, 14:1346-1352. Yan, P., X. Min, Z. Jiping, L. Hongwei, Z. Ziyuan, W. Yu and C. Biao. 2014. Freeze-Dried Rat Bone Marrow Mesenchymal Stem Cell Paracrine Factors: A Simplified Novel Material for Skin Wound Therapy. Tissue Eng Pt A, 21:1036-1046. Muraoka, I., M. Takatsuki, Y. Sakai, T. Tomonaga, A. Soyama, M. Hidaka, Y. Hishikawa, T. Koji, R. Utoh, and K. Ohashi. 2013. Transplanted fibroblast cell sheets promote migration of hepatic progenitor cells in the incised host liver in allogeneic rat model. Journal of tissue engineering and regenerative medicine. doi: 10.1002/term.1718. Nomoto, Y., W. Okano, M. Imaizumi, A. Tani, M. Nomoto, and K. Omori. 2012. Bioengineered prosthesis with allogenic heterotopic fibroblasts for cricoid regeneration. The Laryngoscope. 122:805-809. Serrao, G.W., I.C. Turnbull, D. Ancukiewicz, D.E. Kim, E. Kao, T.J. Cashman, L. Hadri, R.J. Hajjar, and K.D. Costa. 2012. Myocyte-depleted engineered cardiac tissues support therapeutic potential of mesenchymal stem cells. 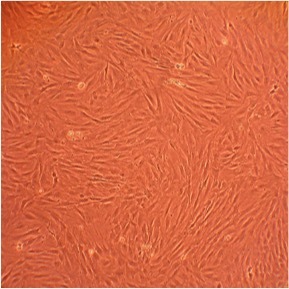 Tissue Engineering Part A. 18:1322-1333.